eCommerce design factors have a profound impact on the success or failure of any website. Optimizing an eCommerce site according to best usability and design standards is really important for entrepreneurs who are thinking to start an online business. This article illustrates some tips and guidelines which can be implemented to design an attractive, functional yet professional eCommerce store. eCommerce design is not always about fancy colors or layouts rather it should be something that tells your customers about the products and services you are offering. If your visitors get confused and fail to understand what you sell, they will never spend a penny on your site. Before proceeding further, planning an appropriate layout of your e-Commerce site is really very important. This layout must have content rich and longer home pages with fixed headers. Another important point that you cannot avoid is the element of “responsiveness”. Now-a-days good number of visitors visit eCommerce sites using mobile devices and tabs. So, you need to assure that you have an e-Commerce website that is responsive to allow users get the actual layout of your site using whatever device they have. Logos- When it comes to design a logo, it is best to let a professional designer handle this responsible task. The first step you need to take before hiring a company, is to give some time researching about other eCommerce sites to have a better idea of the look, feel and logo design of their websites. Focus on designing a comprehensive logo which is featured with relevant text, attractive design, professional images, perfect color combination and impressive tagline. Graphic is another important factor to consider while designing a logo. The basic elements like color, font, image and size should be used well in proportion to make it eye catchy. Horizontal logos function much better than vertical ones as they give a professional feel and looks visually beautiful so try having such logo design for your website. “Simplicity is the ultimate form of sophistication”. Try to design a logo that is simple and talks straight. Go directly to the point and you will just see how well it works for you. Eliminate the use of any picture with the logo design as it looks very unprofessional. Keep it simple. Your logo needs to be flexible for all kinds of uses. Ask the designer to be as specific as possible while designing you brand logo. If you have the above mentioned point while designing a logo, it will definitely help you to get an effective logo which will create a long- lasting impression on your customers. 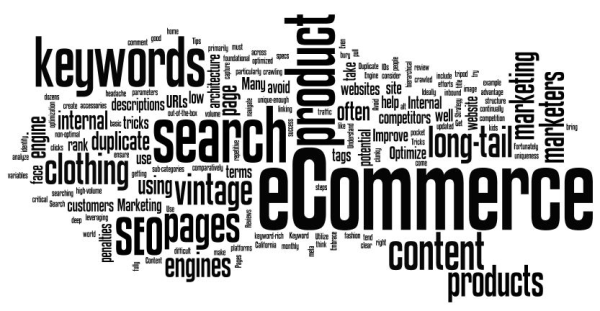 There are some other factors also which you must give a look while designing a perfect eCommerce store. The same have been discussed in the next part of this article. Check the Understanding eCommerce Design Part 2.